This page contains construction details on a 2 metre 144MHz VHF Yagi beam antenna, designed for portable use. Around Christmas 2003 I decided to give 2m (144 MHz) another "kick". I have looked to the GT tables provided by Lionel Edwards VE7BQH and found the DK7ZB 9 ele to be a good antenna for my purpose. High gain, good pattern and acceptable bandwidth. These aims can be realized with a radiation-resistance of 25-35Ohms. Because the 28-Ohm-feedpoint is very simple to match, I use this impedance for my long Yagis. 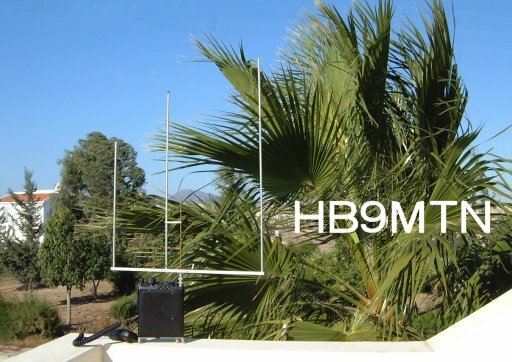 This 2 meter 3 element cubical quad antenna is small, light weight and portable. A backpack antenna that is easy to put together in just minutes and parts store inside the boom making it ready for travel or storage. 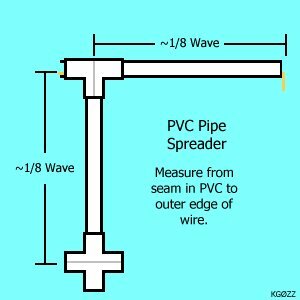 This is a different way of using PVC pipe to build a 2 meter cubical quad antenna. 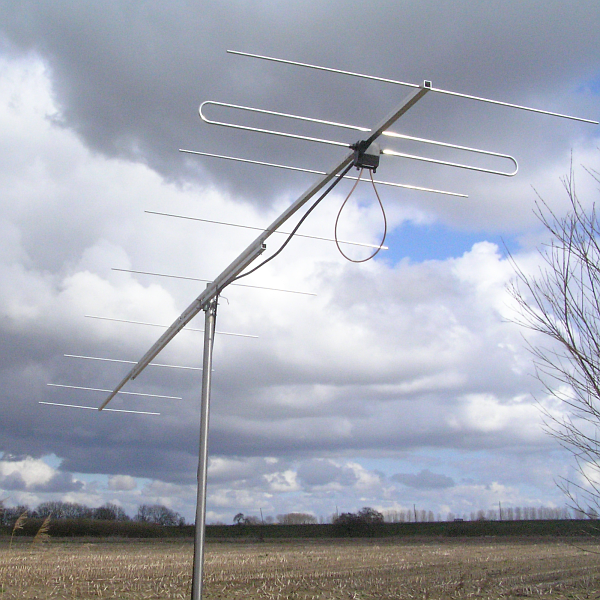 Instead of an "X" style spreader this antenna uses an "H" shape spreader. A Turnstile antenna with a reflector underneath it makes a good antenna for space communications because it produces a circularly polarized signal pattern and also has a broad, high angle pattern. How to build a 2 meter yagi antenna with a gamma match. 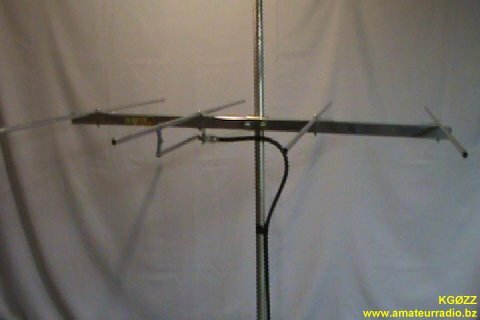 Simple and easy to make using parts from an old TV antenna. 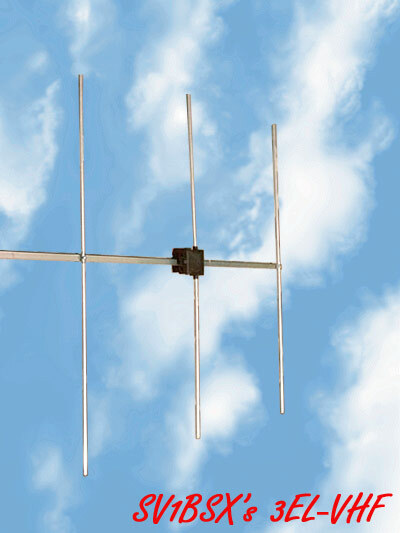 You'll love this small high gain 4 element yagi beam antenna. Work the OSCAR ham satellites orgo transmitter hunting with this inexpensive portable dual band handheld tape measure Yagi. For Yagis with a boom of >=1,5 lambda you should prefer 28-Ohm-Yagis, they have only 0,05dB less than the 12,5-Ohm-types with the same length, but have more bandwith and are less critical. Short means, that these Yagis have not the length for EME-groups... All Yagis have a stretched dipole (the lengths in the tables are from tip-to tip), for the details see 'The DK7ZB-Match for Yagis'. The antenna is being constructed by using 15 x 15 mm aluminium boom and I have used for the elements tubular aluminium rods of 8 mm diameter. If the elements are placed directly to the boom. 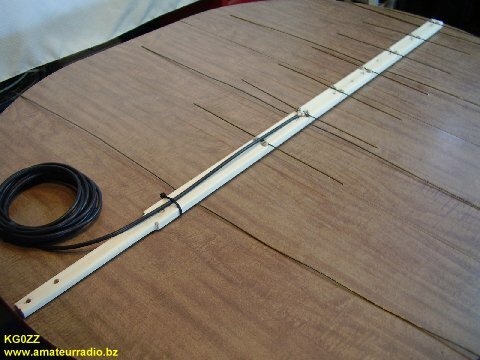 3-element VHF Yagi for 2 meters. This antenna is good for portable use. It can also be used to extend the range of hand held radios. 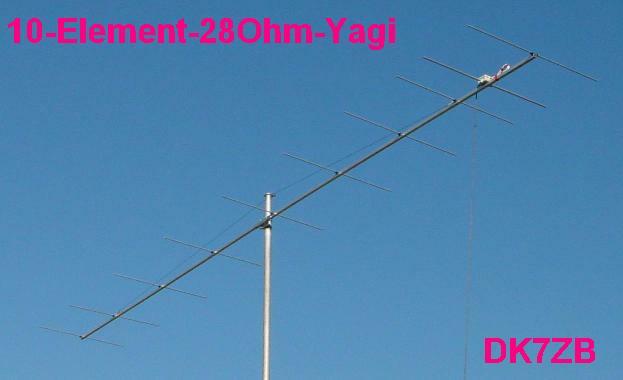 For a new ham this can be an introduction to Yagi antennas. The maximum forward GAIN is almost 11.9 DBi (abt 9.8 DBd) into 2 m. Band. With almost 10 DBd gain, we have an Effective Radiation Power (ERP) 10 times greater of the tranceiver maximum output (without Coaxial-Loss). This turned out to be a great little antenna. It works the 6 meter, 2 meter and 70 centimeter bands. You can use one common feedpoint or two seperate feedpoints depending on how you would like to connect this antenna to your transceiver. 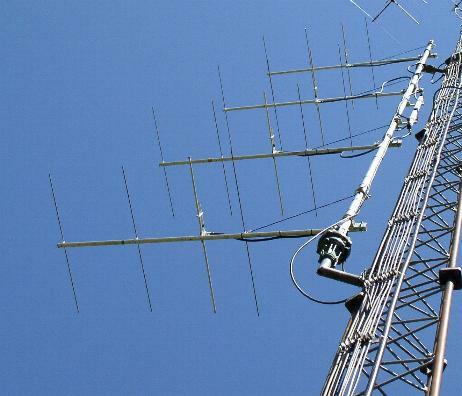 Need a 2-meter beam antenna, but you're short on cash? 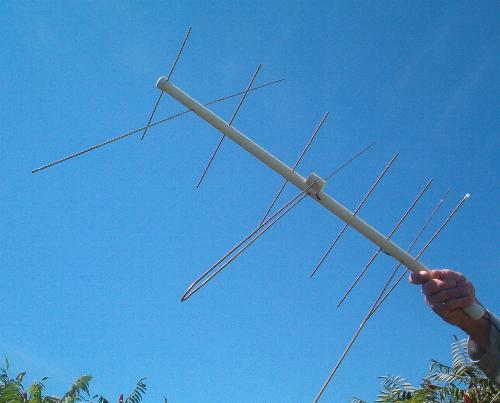 You can build this antenna for the cost of a fast-food meal! This antenna contains 7 elements, perfect for the 11db gain with a front-to-back ratio of 20-25 dB. You should need a matching network for this Yagi. I chosed a “gamma match” made from a piece of 3/8" aluminium tubing 7.25" long with a piece of RG-8 coax 7" long. 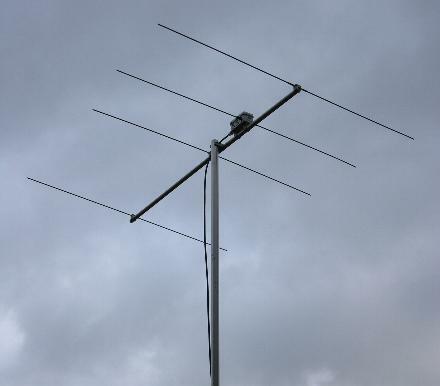 Here's a simple Saturday project: build a portable VHF yagi antenna for 2 meters. All you need is two rabbit ear antennas from Radio Shack, two CATV baluns, four feet of 3/4" CPVC pipe with one tee, and a bit of time. Backpacking, boating or mountaintopping? invest an afternoon's work and pack this novel directional gain antenna on your next expedition. Optimized 6/9 element VHF Yagi Antenna. This antenna insulators or holders idea is mainly dedicated to all Hams building DK7ZB style designed yagis. Known design include Wimo plastic insulators for 15mm or 20mm boom. These antennas are relatively small, easily constructed from common materials/tools and have surprising performance. The feed method is greatly simpified by directly soldering the coax to the driven element. While I wait for my Arrow antenna to arrive, I thought I would experiment and build a dual band tape measure yagi since I already had most of the parts on hand. RZ9CJ design, made by LY3LP. Die 2 Meter-Version des HB9RU-Beams, ursprünglich nur für die Aufnahme der Richtdiagramme im Auftrag von HB9RU gebaut, zeigte so gute Resultate, dass spezielle Typen für VHF und UHF gebaut wurden. In Japan, the word HEN means 'interesting, unusual, strange' etc. Ofcourse, it is a strange antenna and it is an Asymmetrical Double Rectangle (ADR) Loop Antenna. Moxon hand held type antenna made from 3mm wire with 3,9 dBd is mechanikaly stable, 30cm shorter than two element dual band antenna. It is posibile to connect it to radio via BNC. One of the pleasure of working the amateur radio satellites is making contacts in a portable application and with QRP power. This requires a VHF/UHF handheld FM radio and a handheld 2-band antenna. t is a high gain simple beam antenna for 2 meter frequency. It is just a 4 element on 4 feet boom with a gain of 8 dB and having a low SWR of 1.2 : 1 on the operating frequency 144 to 146 MHz. 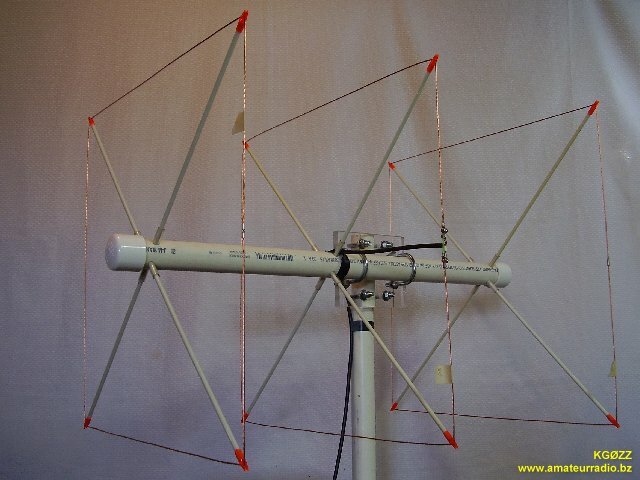 This simple 7 element Yagi is ideal for portable operation. The 2.42 Metre boom will fit inside my car. All of the elements are made from 6mm solid aluminium rod. The boom is made from 50x25mm (2x1 in) timber. The space that the roof let go, after mounting the trestle and my deltaloop triband, it was not so much and borders on the roof with the nearby .... too close! É exelente para comunicação, inclusive DIGITAL, devido a quase não captar ruídos. O número de 4 elementos para este tipo de antena é o ideal pois não exige muita precisão no direcionamento. 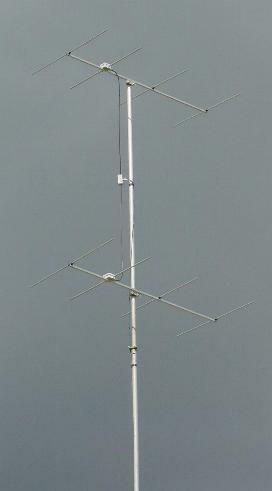 It's a dual band 2m/70 cm yagi antenna made with common materials and cost very little to make. Also, the antenna is fed with only one coaxial cable and does not use a duplexer. The "Tiny 2" is a great little 2 meter beam. 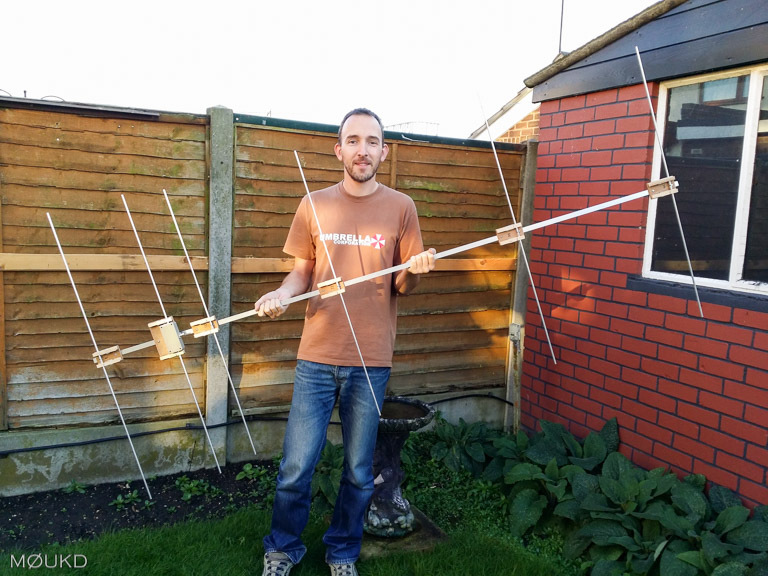 It has some really interesting properties and it is a fantastic first time antenna project for the beginner. As in the case of the 'Tiny 2', the front-to-back was sacrificed in order to squeeze as much gain as possible from the antenna. This unusual antenna is having only two things; One is a rectangle loop and the other is a reflector. It will produce a CARDIOID pattern (heart shaped). Two ground plane array with a proper phasing will produce the same pattern but it needs a phase difference of feedline. Here is a VERY narrow nulling VHF Direction Finding (DF) antenna that can be folded up in the back of the car, then you can leap out, assemble it and take a 'fix' in something like 10 seconds. 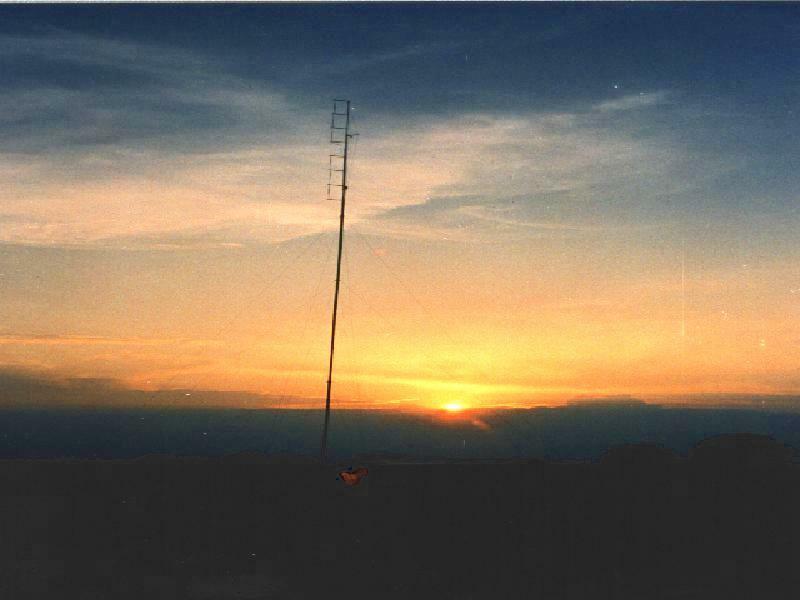 This project was devised some years ago due to the need for 16 identical VHF antennas used for a CADF (Commutated Antenna Direction Finding) system for the 2-meter band. As everybody knows a dipole has about 3dB gain over a quartre wave antenna, is why my preference went to a simple dipole. To make it portable I used two identical telescopic antennas of 80 cm slid out and only 14 cm when pushed in. 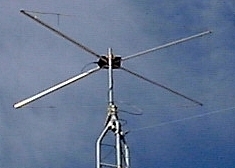 The x-beam was originally intended as an HF mono-band beam. I used the formulas to build it for 6m. It also happens to work out really well for 2m & 70cm use as well.